Need a fun theme for a birthday party? Animal theme parties leave a lot of room for creativity. If you've got an animal lover on your hands, this would be a great next birthday. There are animal themed party games and cute party favors to take home. Check out our list of animal theme parties in Virginia. Your little lion will fit right in at his very own animal themed birthday party. Want to make a splash with this birthday party? 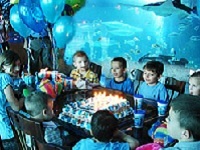 Try an aquarium themed birthday party! If your child likes the ocean or has never been to the ocean, this is sure to wow them. Check out our list for aquarium parties in Virginia, and have a whale of a time. 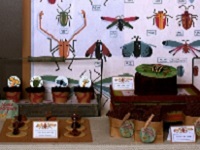 Is your little lady bug ready for their own bug themed party? Scuttle on over to our list of bug parties in Virginia. Watch as your kids have a fantastic good time. Plus your garden will be picked clean of insects.